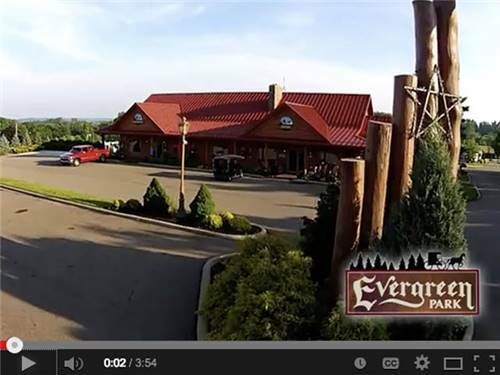 Visit our Premier Top-Rated RV Resort! Enjoy local Amish cheeses, Lehman's Vintage Hardware, Amish crafted furniture, Amish home style cooking and more! 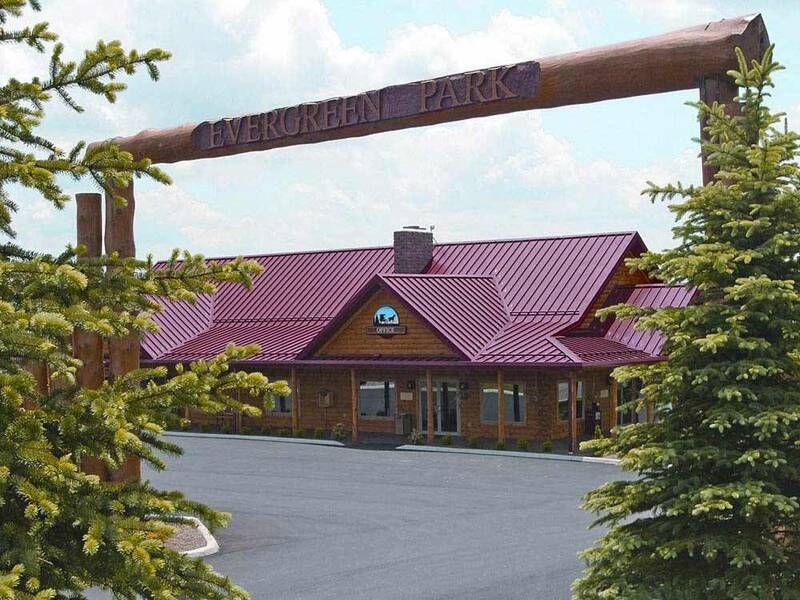 All this within minutes of our stunning Evergreen Park RV Resort! Although, this is an absolutely a beautiful camp ground in beautiful country, we would have a little difficultly in giving this a 10/10/10 rating. Many of the sites were very close to each other and weren't level. We had to manually level our coach not to allow the rear wheels to leave the ground and we saw many RV's on blocks. The exercise room was a bit left to be desired as nothing worked and the WiFi was non existent which wasn't a problem for us since we use our phone hotspot. The good, paved roads and sites, exceptionally clean, friendly, indoor swimming pool, and family oriented. We would definitely stay here again even considering the few issues. The un-level sites are a concern of of ours but being a bit selective on what site to choose during the reservation making, everything else would make it a good decision. Have to agree with the Good Sam rating here, great place to stay with a caring and well run staff. Great value for the money and other than the occasional trucker noise a great stay. Would recommend regardless if you are a family with children or a couple. Put it in our yes we would and maybe will return to book again. As far as facilities, cleanliness and appeal, it really doesn't get any better than this. Entire park is paved, all pads are asphalt, mostly level. We have been making 2 trips/season to Evergreen for the past couple years now and it rarely disappoints. Its a busy park and usually during the popular times of year (holidays/fall) it can be impossible to get a spot, book early a year in advance. Again, facilities are well maintained and groomed. Pool area is smallish and indoors, can get too hot. Game room is nice and kids usually have fun there. Basketball court is always busy with kids playing, as is the playground area for younger ones. The owners usually have themed weekends that are popular with the park goers. Easter egg hunt was a blast and so is the fall festival. For anyone visiting the area for first time, it really is a gateway into Amish Country. You will be afforded a clean & quiet stay no matter what. My only gripe about evergreen is that the sites are too close together. I always feel like my neighbor is standing right outside my slide window. If they would have doubled the width of each lot then this facility could not be beat, I'm convinced of that. We stayed in April and really loved this campground. it was very well kept and the staff was very friendly. The only issue was the swimming area. Kids were running and jumping into the hot tub all night. There was no supervision in that area. Some were jumping from the top of the rocks. We couldn't enjoy the hot tub because of that problem. We camp permanently near Marblehead, Oh. We try to camp here in the spring and the fall of the year. we have been coming here for many years and have always enjoyed it. Very nice campground. WIFI weak. Outstanding Resort. Will definitely use it again next year to go to the Holmes County area. Reasonable rates for the quality of facilities..
We started camping here not long after it opened and have camped here several times thereafter, Rules were enforced, everything was neat, clean, colorful, and service was fantastic. The Amish would sell their wares & baked goods near the office, some would go around with a wagon selling produce & canned goods, there was an Amish fellow who gave rides on a real Amish cart around the camp, & there was a patrol that went around occasionally to enforce rules & "quiet time" to help keep the park enjoyable, neat, etc. for all who where there. It was very unique in which is what kept us coming back. This most recent visit, I was disappointed, kids noisy & playing in restrooms and riding bikes after hours, restrooms were not well maintained regularly, the grounds didn't seem as well maintained(colorful), & the office was understaffed, & The only ones selling "around the campground", where Cub Scouts fundraising :-/ I didn't see nor feel the uniqueness, this campground once had when we first started camping here, PLEASE bring the uniqueness back! Nice facility with one BIG problem. The people were very friendly and helpful. The campground was not busy... lots of available spaces. We were placed in the very back corner space. The lot was described as a "nice space" at the desk. Great! Not so much... There is a factory at that back corner. All night long there was a very loud pressure relief going off at the factory every 10 minutes. ALL NIGHT LONG! No sleep... Warning: you don't want a spot in the back corner! Everything else was great!